The Ford F-150 pickup gets a handful of upgrades for the 2013 model year. The key changes include a redesigned center stack,the availability of high-intensity discharge headlamps and the addition of a new range-topping Limited trim. The changes come as rival General Motors prepares to launch redesigned versions of the Chevrolet Silverado and GMC Sierra pickups. Those trucks are expected to arrive in spring 2013. The F-150 was last redesigned in 2009. 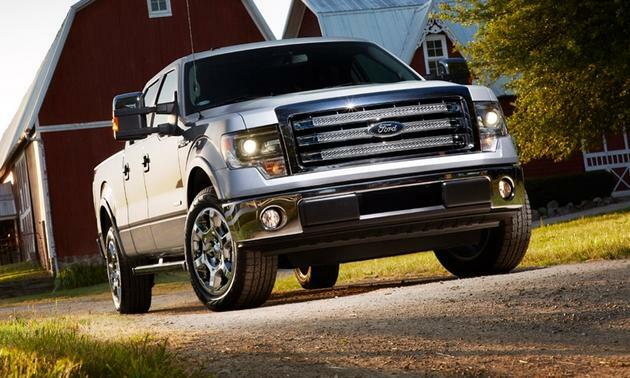 The 2013 F-150 Limited becomes the new top of the F-series lineup. This gives Ford four luxury trim levels in its pickup lineup-Lariat, King Ranch, Platinum and Limited. Those four models get the MyFord Touch telematics system with an eight-inch screen in the center stack. The technology includes the Sync voice control, two USB ports, audio/video input jacks and an SD card reader. 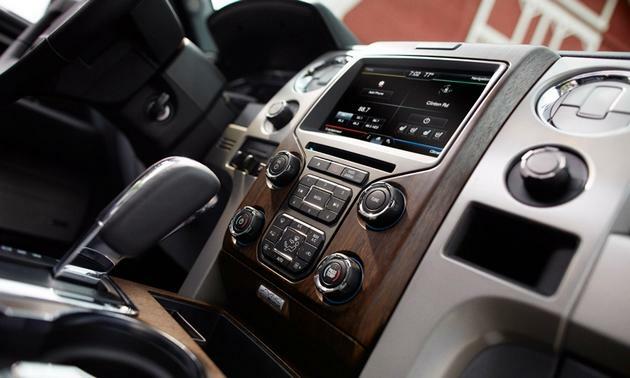 Ford redesigned the F-150 instrument panel to include a four-inch video display for trucks that don’t use the eight-inch MyFord Touch system. The four-inch display, which is flanked on each side by rows of buttons, also includes Sync technology. On the exterior, Ford gave the F-150 redesigned grilles and L-shaped headlamps. HID headlights are optional. Other mechanical changes include the expanded availability of hill-descent control technology, which had been limited to the high-performance Raptor model. The powertrain lineup for the F-150 is unchanged. Buyers can choose from among two V6s, including a 365-hp EcoBoost engine, and two V8s. The 2013 Ford F-150 goes on sale later this year. This entry was posted in Blog and tagged auto news, automotive industry, F-150, ford, mr. kustom chicago, pickup.